Hill Hill Carter offers a full range of legal services from business planning to complex litigation. With over 4 decades of practice in Montgomery County, February 12th marked 40 years that Montgomery attorney, Randall Morgan, has been practicing law at Hill Hill Carter. 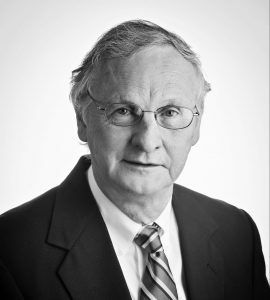 A graduate of the University of Maryland School of Law, Randall has spent the last 40 years handling hundreds of cases in the defense of municipalities, corporations, individuals, and insurance companies. In addition to his many years servicing the legal needs of other clients, he previously served as City Attorney for Montgomery for more than three years. Hill, Hill, Carter offers a full range of legal services, from business planning to complex litigation. 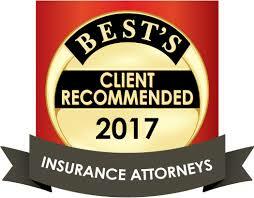 The firm is centrally located in Alabama’s capital city and represents clients throughout the state and the Southeast. Our goal is to provide sound, practical, and proactive advice to assist our clients in successful planning and avoiding litigation and other adversarial proceedings. When litigation is necessary, we utilize a team approach with the client being an integral part of the team. Working with the client, we evaluate the underlying facts, analyze the legal merits, and develop a sound and true strategy. A prompt and successful resolution through mediation or arbitration, or when necessary, an expedient trial, is our goal. The attorneys of Hill, Hill, Carter, Franco, Cole & Black all believe that legal excellence, integrity, and the welfare of its clients are of the utmost importance. Hill Hill Carter is a full-service firm capable of serving any legal need one may encounter. Explore our full range of legal services.